The Legal Center For Women's Initiatives "Sana Sezim" of the South Kazakhstan Region is officially registered as a non-governmental and non-profit organization as of May 2001 and is registered with the Institution of Public Associations in January 2004. Mission of the Center "Sana Sezim"
Building civil society and democracy through the promotion of women and children in society, the formation of non-violent relationships in society, and the development of the movement to protect the rights of women and children. Stop Trafficking Women and Children! 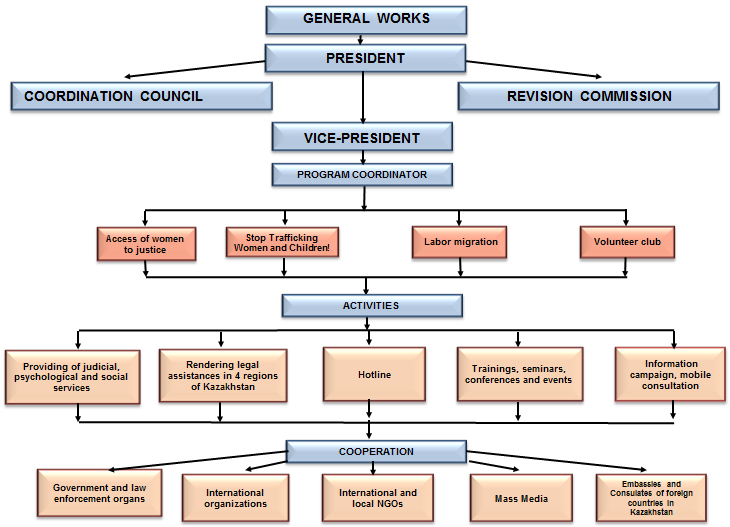 Member of the international platform for cooperation with NGOs working with undocumented migrants in Europe (PICUM). Transparency, openness, clarity of thoughts, actions and ideas based on wisdom, spirituality, and harmony.